I was in Bacolod recently for a weekend. I had never been there and didn’t know what to expect; but my hosts summed it all up by saying there’s nothing to do but eat. And eat we did. I was amazed at how everything was just 5 minutes from everywhere; mostly along the Lacson Street stretch. And not sure if it’s because they’re tied to the sugar industry that I noticed they liked things sweet. Or at least have a sweet component or profile to dishes. 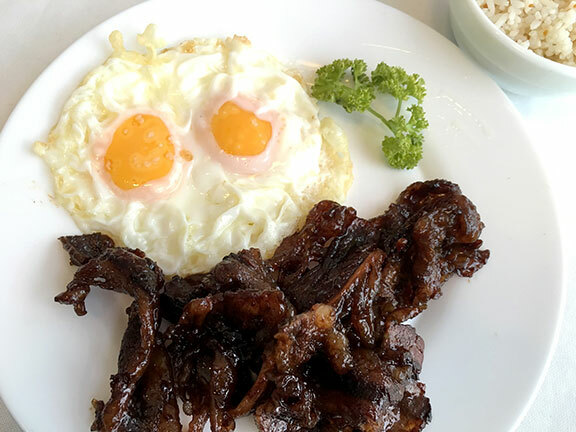 As my welcome dish: the Pendy’s tapsilog. Sweet, sticky, salty and fatty beef belly streaks. Served with the most perfect sunny side ups and garlic rice. It really was closer in taste to tocino. But it was very good. Pendy’s is also known for their half moon cake. 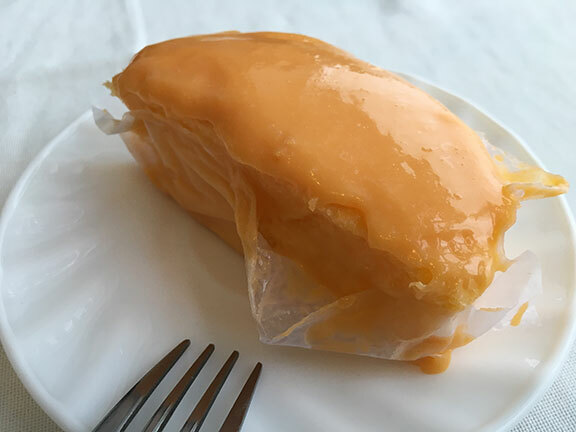 Essentially this chiffon slathered with a yema-like icing. I liked the tapa better. Bar 21, or Restaurant 21 as they now call it, is known for their batchoy. Sanju had informed me to call ahead to reserve the batchoy they serve with bone marrow. But I had forgotten and had opted for the special version instead. Still very good. 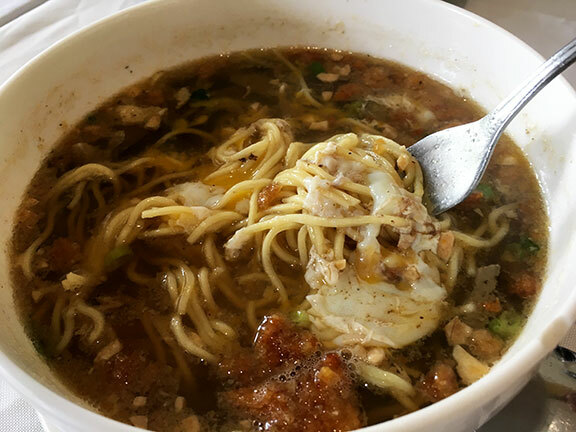 Addicting sweet salty broth, egg noodles, egg, chicharron, various meats. Lots of things going on in there. Bone marrow has to be done next time. Felicia’s Pastry Cafe makes a lot of goodies. 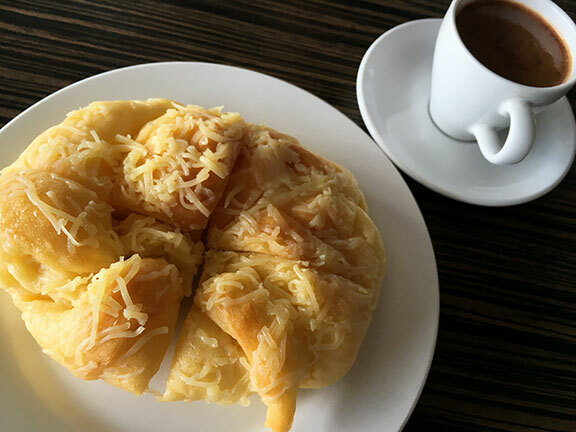 But their star is that rich ensaymada with that unbelievably soft, elastic texture. You can ask them to toast it up for you and have it served with a tablea chocolate dip. Over at Silay is a branch of Ann Co Cakes. Another cafe which carries a variety of pastries. But they’re known for their Frozen Brazos. And for good reason. 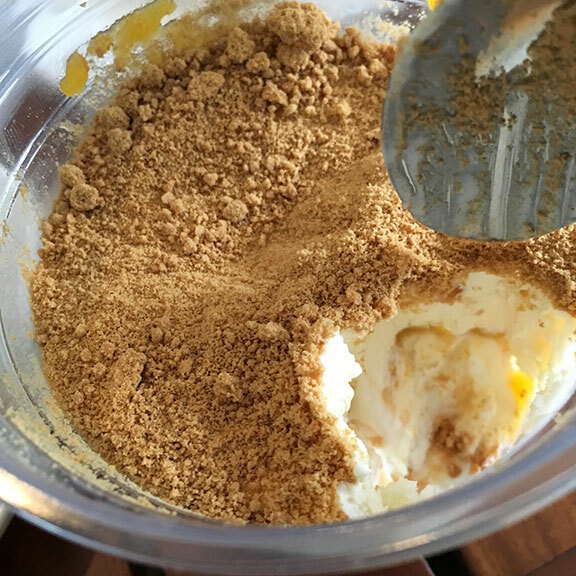 Deliciously creamy custard filling, fantastic almost-chewy merengue, and a dusting of graham cracker crumbs. Just that right sweetness to keep you picking on it. 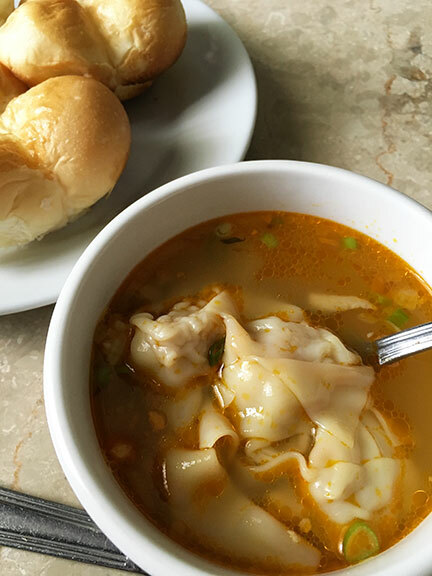 Something very local is the molo soup. And a good place to get it is at L’Fisher Hotel. Deceptively simple looking broth but the flavor is so deep and redolent of toasted garlic. With delicately flavored pork wrapped in thin sheets of flour. It’s usual partner is the clover bread. Yeasty dinner rolls that you slather with butter and dunk in the soup. Off Lacson (and at this point I’m realizing what isn’t) is this quaint restaurant called Lina’s Alfresco Dining. The menu has Southeast Asian leanings and they serve a quite impressive beef rendang. But I really liked a dessert of theirs called the piaya pie. 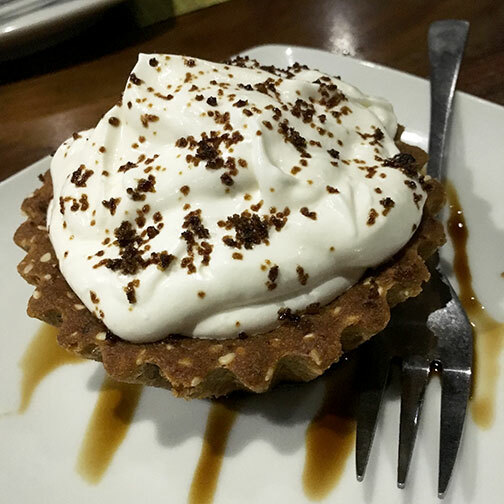 Buttery cracker crumb crust embedded with sesame seeds, topped with loads of sweet whipped cream and drizzled with a muscovado sugar syrup. Delicious. And a creative nod to a very traditional treat. 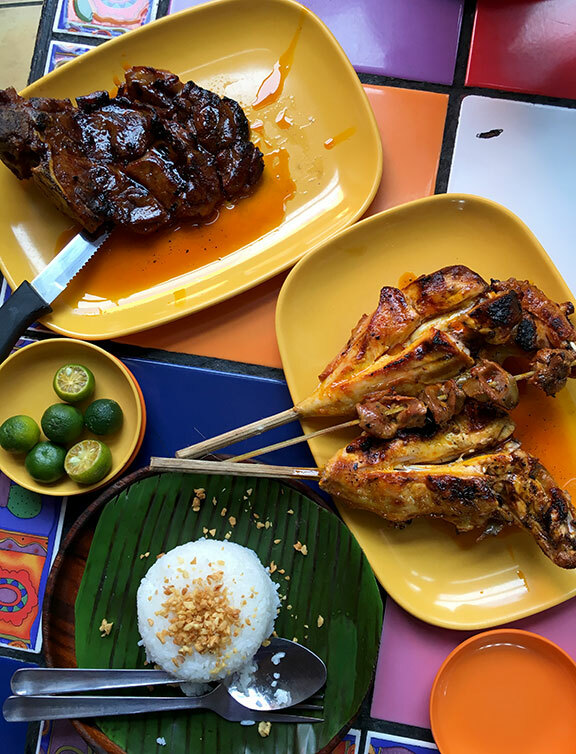 Of course there’s inasal. I had wanted to try Manokan Country but my host steered me to Chicken House. Where I got a pecho (breast) and garlic rice. 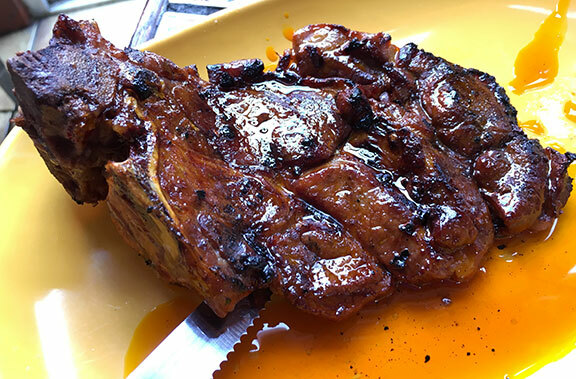 Also an order of the sweet glazed spareribs. All of which you drown with that annatto coloured chicken oil. A simple but very satisfying meal. To end: an order of black samba. 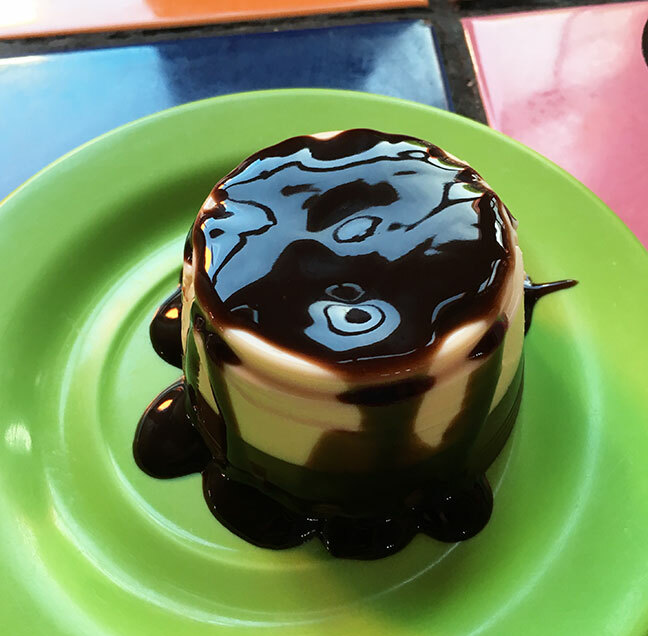 A layered gelatin made with chocolate and milk then drizzled with a chocolate sauce. Lots more eating to do in Bacolod. Mental note: lose a couple pounds before next visit to prepare. 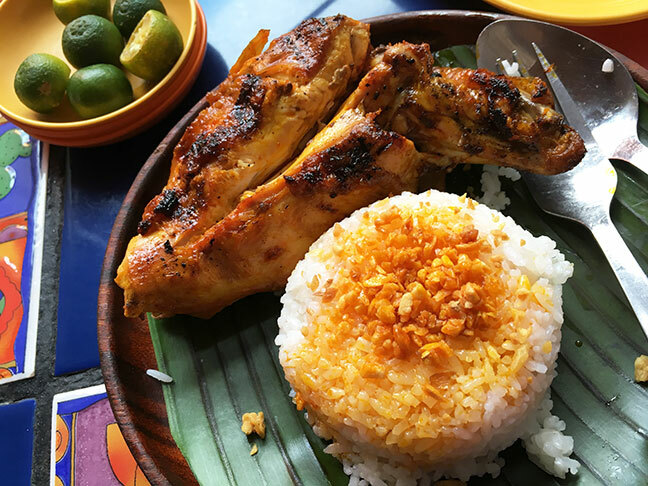 Drool... makes me want to book a flight and head over to Bacolod asap for all these. I feel the same way, Mandy. Lots more places I want to try. Hope to be back soon.